Redeem 500 Bonus Point with a minimum spend of $150*. *Limited to the first 3,000 shoppers. Show off exceptional skills as you aim with a simple frisbee game. Simply spend a minimum of $30^ in a single receipt to redeem vouchers such as $10 off Ah Mah Traditional Homemade Egg Sponge Cake, D’laksa voucher, $5 Compass One voucher and $3 off Gong Cha voucher. *In a single receipt. Limited to the first 100 shoppers. Limited to 1 redemption per shopper per day, regardless of total amount spent. All promotions are on a first-come first-served and while stocks last basis. 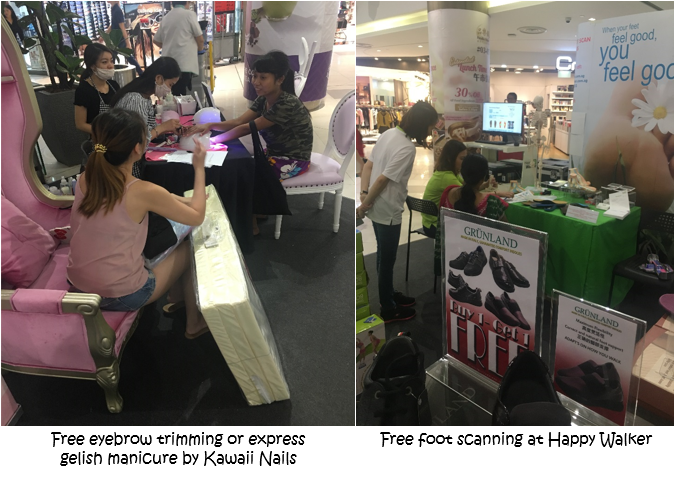 Get a free express gelish manicure or eyebrow trimming by Kawaii Nails when you present a single receipt with a minimum spend of $30#. #Limited to first 20 redemptions per day per service. Receipts used for the eyebrow trimming cannot be used for express gelish manicure. Get a free 3D precise foot scanning to know more about your foot pressure and your arch type by Happy Walker. In partnership with Health Promotion Board (HPB), we have healthy cooking demonstrations and health talks from 4 to 8 March 2019. 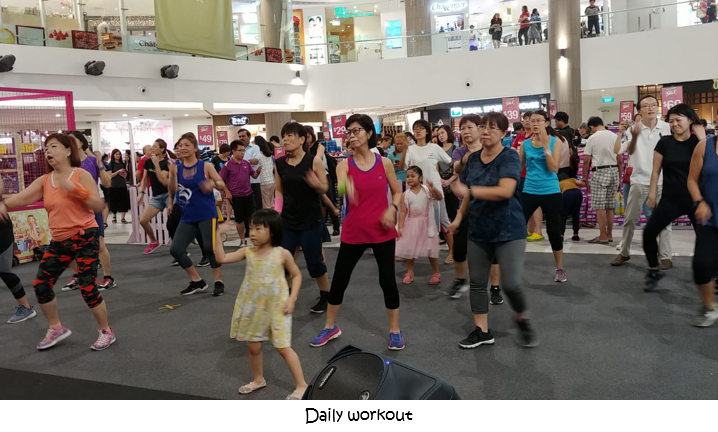 On top of this, we have daily mall workouts such as Zumba, Kpopfitness, Kickboxing and Piloxing from 7 to 8pm. 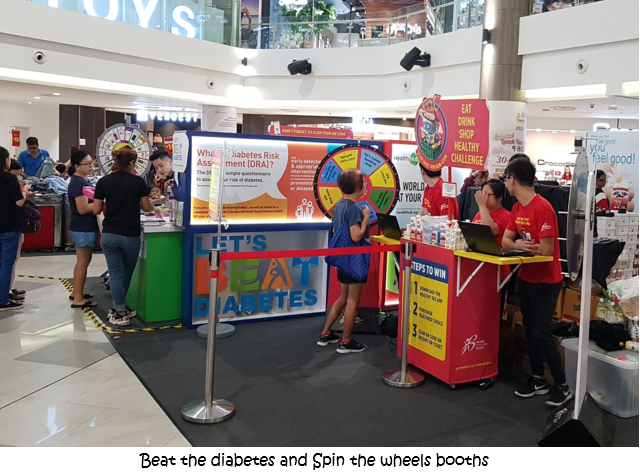 Besides that, HPB also has 2 other booths to share information about “Beat the diabetes” and rewarding our shoppers with freebies if they purchase healthier food option over the weekend. 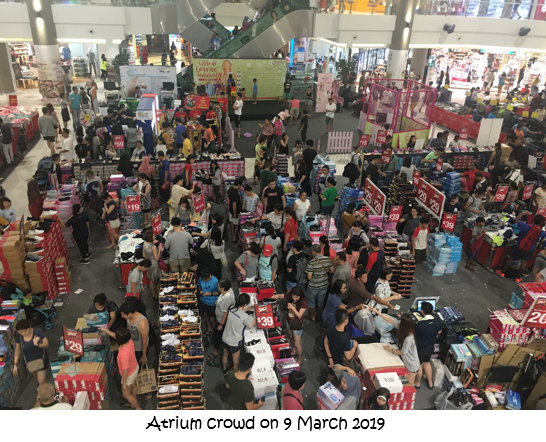 This March has definitely been a healthy and fruitful month for our shoppers in Compass One.